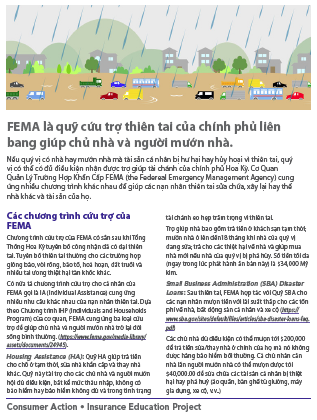 Library: Vietnamese | FEMA spells federal disaster relief for homeowners and renters (Vietnamese) . 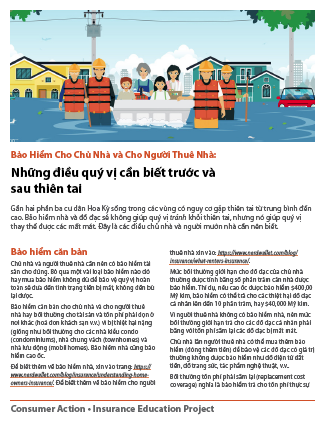 Library: Vietnamese | Homeowners and renters insurance (Vietnamese) What you need to know before and after a natural disaster. Library: Vietnamese | Filing a Housing Discrimination Complaint (Vietnamese) .